UMNO president Ahmad Zahid Hamidi temporary handed his duty as the party leader to his deputy Mohamad Hasan on December 20. He seems to keep his word in taking his leave. As we can see from the influencers list of “UMNO” topic, he is no longer an influencer. Instead, Mohamad Hasan has became one of the top influencers. On a side note, former UMNO president Najib Razak is still active in talking about the party despite having a bad reputation due to the 1MDB scandal. However, Zahid were still widely reported by the media in the month of January. 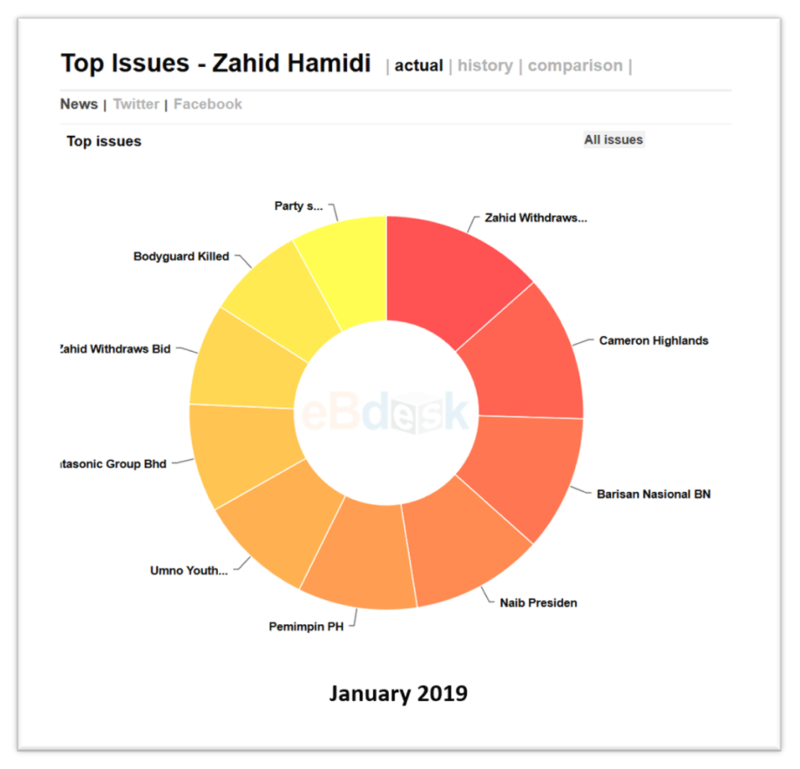 We can see that the trend of Zahid and Hasan exposure in that month are quite similar on certain period. So, we investigate on Zahid’s top issue for the month of January. Majority of the news on him are of negative sentiment. There is a rumor that one of UMNO vice-presidents is planning a coup against him, he withdraws application for return of passport, update on his graft trial and also his bodyguard killed from a highway accident. If we look at the top persons list of “UMNO” topic, Zahid ranked second with 1,534 news. Meanwhile, Najib placed third with way lower news (853 news). This shows that he is still heavily linked with UMNO in the media, so does Najib. Acting president Mohamad Hasan only appeared in 511 news. On an interesting note Mahathir took the top position for both influencers and top persons list of the topic “UMNO”. As a conclusion, the image of UMNO haven’t changed as Najib and Zahid is still the most mentioned figures when it comes to UMNO. Plus, Mahathir seems to be in-charge in talking about the party. 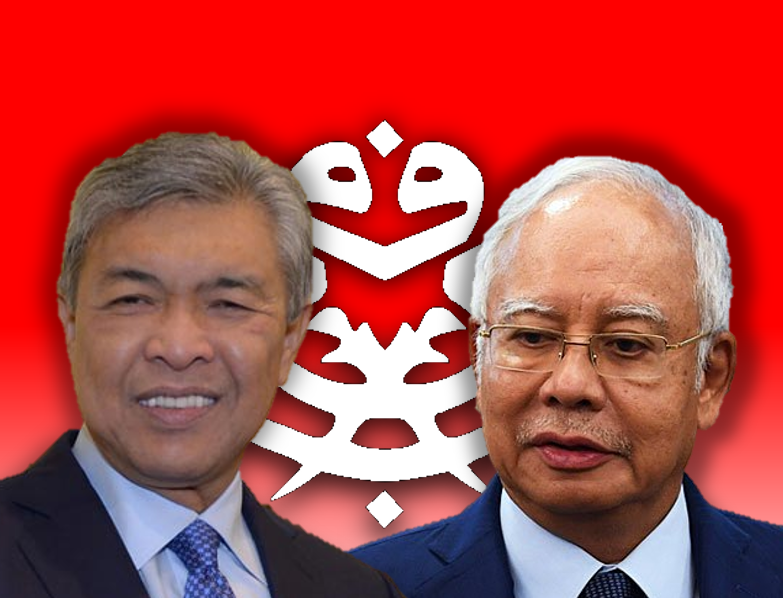 With the current situation, will UMNO able to recover from its bad reputation?